We incorporate an intense fitness and cardio program into our daily workout routines and WODs to make sure you stay in peak performance for daily life. Two of the most important aspects of a quality workout routine are flexibility and rest. Warming up before you work out and resting after are vital to success. Have questions about what you should be eating to get the most out of your workout? Talk to your coach today to help put together a custom diet program. Volt City CrossFit added 40 new photos.  Volt City CrossFit is at Merrell Center - Katy, TX. Volt City CrossFit added 2 new photos.